How do I send my club’s League Athletics roster to the NCJLA website? 1. Log into your club’s League Athletics website as an Administrator. 2. Your website will need to be linked to the NCJLA website. If you are uncertain if it is or do not know how to do this click here for instructions. 3. Your teams will also need to be linked to the same teams on the NCJLA website. If you are uncertain if they are or you do not know how to do this click here for instructions. 4. 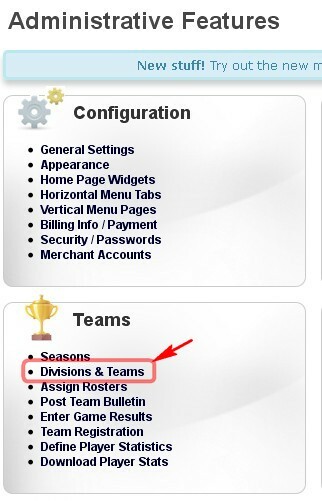 Once steps 2 & 3 are completed, go to your Administrative Features and click on Divisions & Teams under the Teams section. 5. Click on the team name that you would like to send its’ roster. 6. 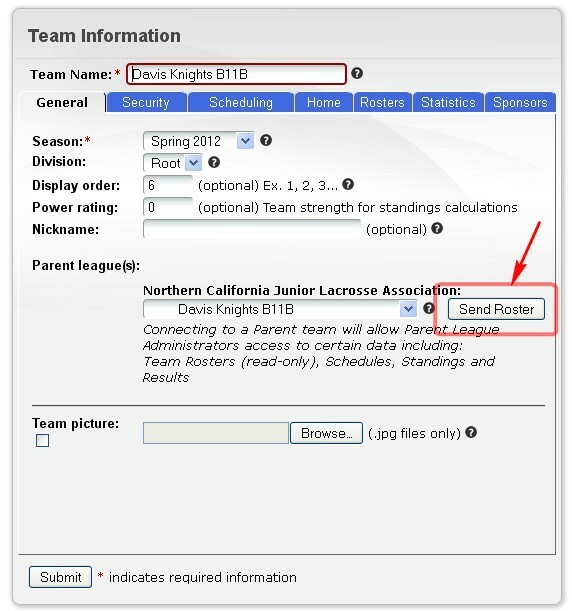 Under the General tab and in the Parent League(s) section you should see your teams matching NCJLA team with a “Send Roster” button next to or underneath it. 7. Click on that button and your roster will be submitted to the NCJLA website.